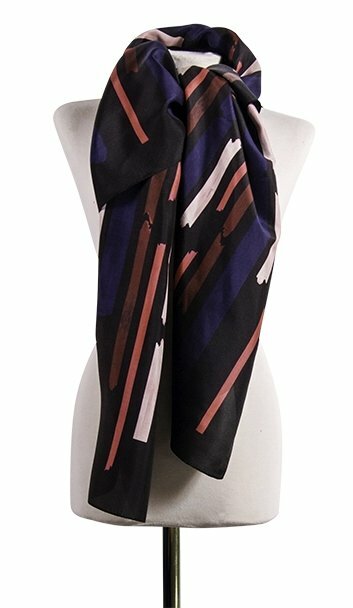 Large silk scarf with cool painted block stripes on a black background. 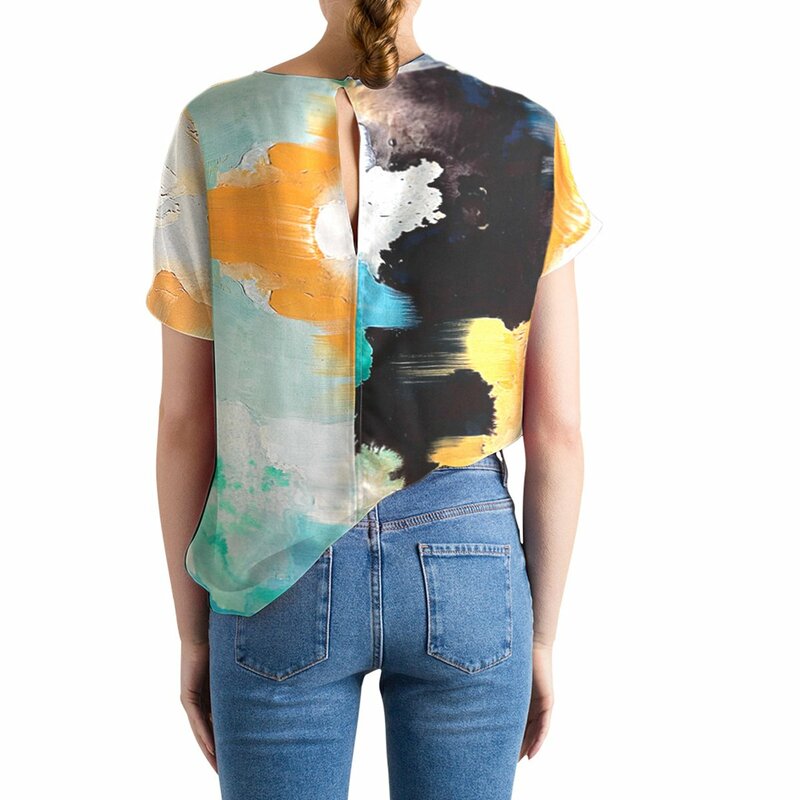 This soft silk scarf will add a gentle coolness to your outfit. The bright painted block stripes on a black background give any edgy look. Enhance your outfit by tying it over a midi dress or draping over a jacket. 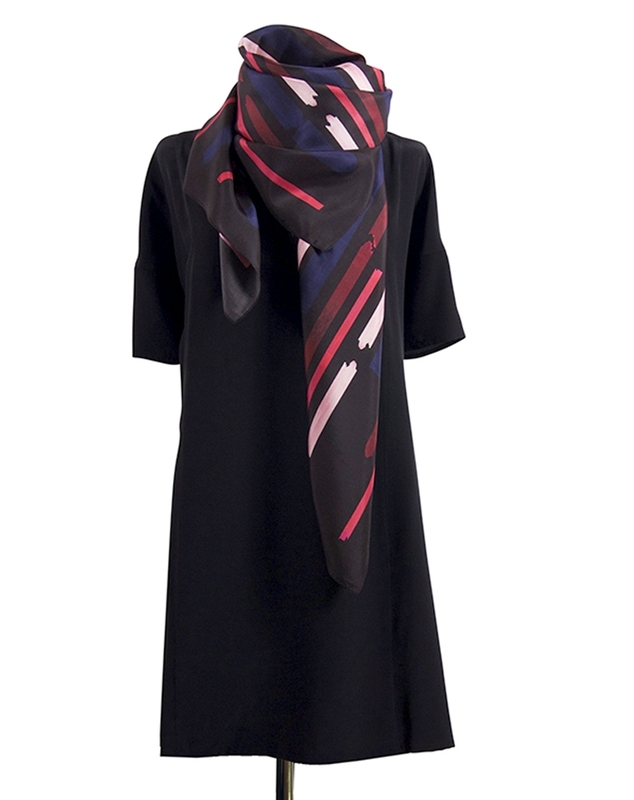 The typical Studio Heijne scarf is generous in its size (135 x 135 cm) which works as a skirt or a tied hair band. All our scarves are easy to take care of by handwashing and low-heat ironing. I bought this scarf to wear it with a black dress but I’m also wearing it with jeans and my Gallery skirt. It allways makes me feel well dressed.